Relapse Record’s impressive re-issues of the Death catalog continues with this three-disc version of 1988’s Leprosy – the band’s titanic second album. 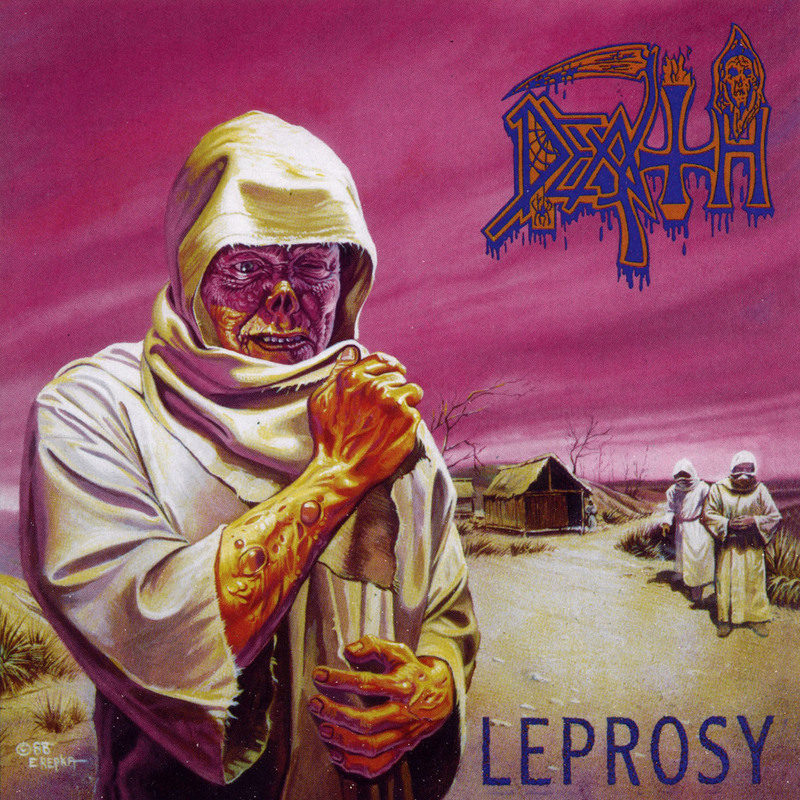 Hopefully you don’t need me to tell you that Leprosy is a classic death metal album – hell, this album pretty much set the blue print for death metal as a genre. 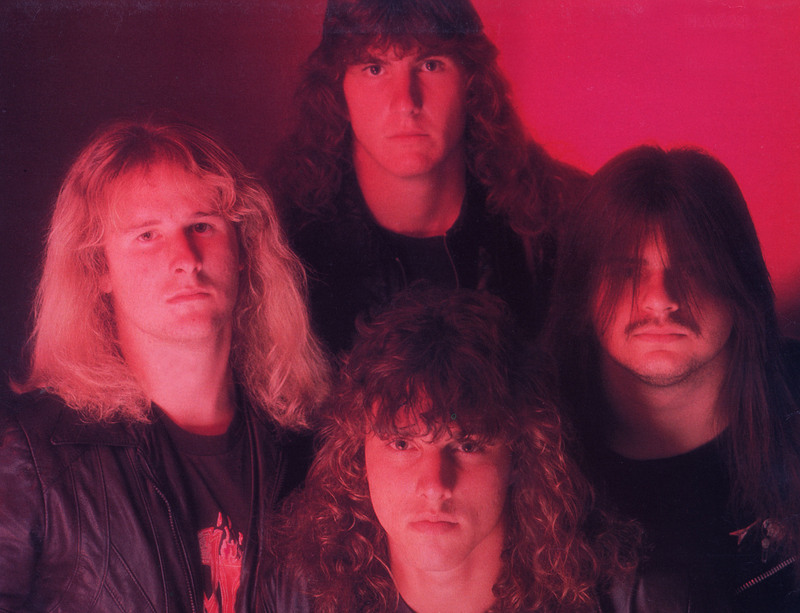 It moved things up a gear and added stronger song writing and more serious subject matter to the brutality and rawness of the first Death album, Scream Bloody Gore. Not only that, but there are hints at the progressive and technical mastery that would follow on later albums. This remaster comes with three CDs – a remastered version of the album, a ten track CD of demos and rehearsal material, and a fifteen track CD of previously unreleased live tracks. The packing is first class and comes in a deluxe embossed 8 panel digipak, with a 24 page booklet that features unseen pictures of the band, and liner notes. 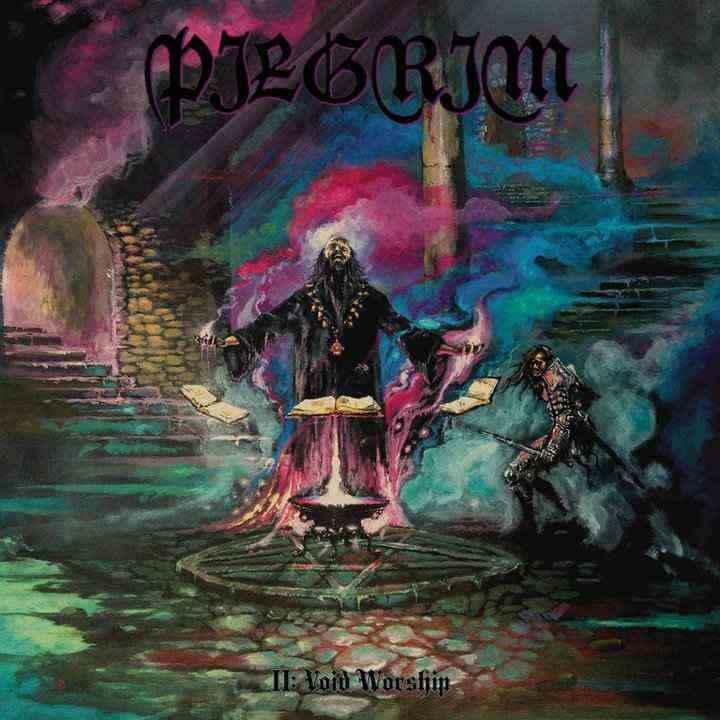 All three of the CDs have been remastered by Alan Douches (who has previously mastered albums by Atheist, Cannibal Corpse, Deicide, and Malevolent Creation to name just a few), and the songs sound all the better for it, with a subtly sharper sound that manages to retain all of the rawness of the original. The album itself features a number of all time Death classics – including ‘Pull the Plug‘, the title track ‘Leprosy‘, and my personal favourite ‘Open Casket‘. Even now, an amazing 26 years after the album’s original release, these tracks still sound amazing. The demos and rehearsal tracks on CD2 are incredibly raw and the recordings are not of the highest quality. But it’s great to hear the band refining the tracks that would appear on the album, and it’s interesting to hear a number of the tracks without vocals. Again, the live tracks on CD3 are not of the highest sound quality – but then they’re live recordings and they really do a great job of capturing the intensity of Death playing live. If you already own Leprosy, this is worth picking up if you’re a fan of hearing demos and live performances. However, I’m not sure it would be worth getting just for the remastered album itself because, though an improvement on the original, the sound is only subtly different. If you don’t already own this album then this is an absolutely essential purchase!